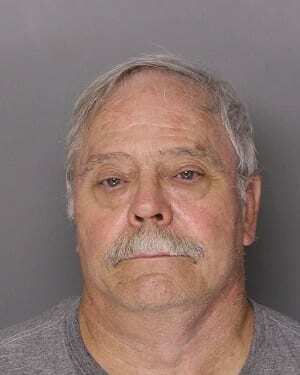 A local man is facing charges after jumping onto a school bus in Parkville last week. Leverne Doran, 68, of Nottingham, alleged that a student on the bus, which was stopped near Putty Hill Avenue and Hoerner Avenue on Thursday afternoon, threw a Gatorade bottle at his vehicle. Doran then demanded to enter the bus. When the driver refused, Doran jumped onto the hood and clung to the school bus while the driver slowly made his way to the Parkville precinct. When the bus stopped for a traffic light, Doran got down and again attempted to gain entry onto the bus, breaking a handle off of the doors. An off-duty police officer saw the commotion and intervened. The bus was carrying students from Loch Raven Middle School. Doran was taken into custody at just after 3 p.m. on Thursday afternoon. 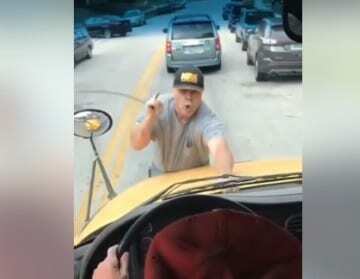 He has been charged with disorderly conduct, obstructing a school bus driver, disturbing the peace/hindering passage, and destruction of property valued at $1,000. Doran was released on Friday, October 6th. You can view video of the incident below.